As President Obama has said, the rate hikes and practices of Anthem Blue Cross of California are the “coming attractions” of our health system without reform. It’s a general argument that the status quo is not sustainable--a reminder that, whatever people feel about the legislation, they should be far more worried and angry about the health care system without reform. Overall cost containment efforts: Insurers have long argued that their rate hikes merely reflect the rising cost of providing health care. Much has been discussed about the ideas and efforts in the bills to bring down the overall cost of health care, from focusing on prevention to requiring more transparency about cost and quality data to using health information technology for better efficiency. While they may not provide immediate help, these have potential to “bend the curve” of rate increases in the long run. Rate reviews. While medical inflation is high--9 percent this year, as much as 12 percent in recent years--it’s nowhere near the increases that Anthem Blue Cross is imposing. So there’s a good reason to ask for a justification of those rates, especially when they are above medical inflation. Both health reform bills provide for rate review mechanisms, forcing health insurers to justify their rate increases to regulators in public. This is not currently the norm in many states, including California: Anthem Blue Cross made the point that they first submitted the rate to our Insurance Commissioner back in November. But, in California, the Department of Insurance’s authority to prevent the rate increase in limited to enforcing a rule that every insurer's medical loss ratio must be at least 70 percent--in other words, that 70 percent of all money coming in must go back out as payment for actual medical care. The Insurance Commissioner is now making a special point of getting an outside actuary to review the case—and Anthem Blue Cross has now agreed to delay the rate increase for two months while that takes place But this back-and-forth, and even the delay, is a reminder that such rigorous review is not common practice. Giving state or federal regulators the authority to deny unjustified rate increases is a needed next step. 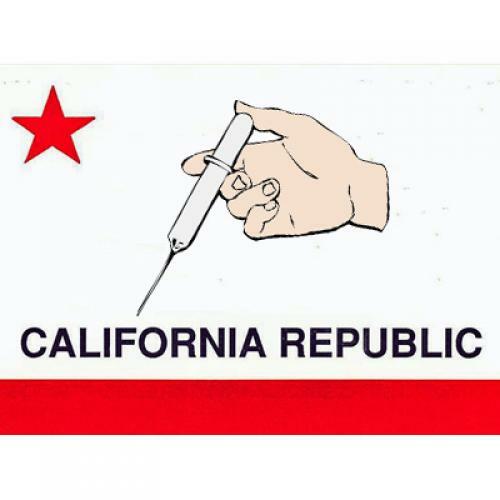 And those efforts continue: We’ve had a bill pending in the California legislature, by Assembly Health Committee Chair Dave Jones, that would grant such authority. (Anthem Blue Cross and other insurers, predictably, oppose it). At the federal level, Senator Dianne Feinstein proposed an amendment to the Senate bill that would have strengthened its rate regulation provisions. It didn't pass, but could be revisited later on. But simply enacting the rate review provisions already in the Senate bill would be a good first step. The group purchasing power of the exchange. The rate hike by Anthem is concentrated in the individual insurance market, where individuals who buy coverage by themselves lack any market power, and are at the mercy of the big insurers like Anthem. One of the central benefits of the pending health reforms is to provide individuals and small businesses with the benefits of large employers and purchasers of coverage. Individuals would be able to get their coverage through an exchange, which will have the ability to bargain with insurers to assure the quality of the products and a better price, in return for having access to that market. Senator John Kerry was able to get an “active purchaser” amendment in the Senate health reform to allow for this negotiating power, which has shown to yield some savings in the Massachusetts exchange with that purchasing power. The exchanges would also create a simpler, more efficient market. The individual market is the most expensive way to get coverage simply because of costs associated with selling coverage one-on-one, from marketing to underwriting (which would be eliminated in a guaranteed issue market—no more questionnaire asking about your pre-existing conditions). It is simply cheaper for insurers to sell coverage to groups, rather than to sell it one customer at a time. Subsidies so families don't lose coverage when they lose income. The pending health reform promises to transform the way we pay for health coverage, shifting the price of premiums to be based on what you can afford, rather than how sick you are. To be more specific, if you are under 400 percent of the federal poverty level ($88,000 for a family of four), the premium for a basic benefit plan will not be more than a percentage of your income (based on a sliding scale from 0 to 10 percent). If an insurer raises its rates above that percentage, your family will be subsidized in the exchange to that amount. That’s a direct protection against rising rates. Avoiding "adverse selection" by keeping people covered. Anthem Blue Cross of California’s defense of their rate increase makes the case for the core of the pending health reform bills. They largely blame the economic recession, which has led people to lose income, forcing people to scale back coverage or drop it completely. Anthem also argues that the folks who drop coverage tend to be more healthy, on average; that means the population of people with coverage are less healthy on the whole. Their relatively higher medical expenses then drive up premiums. The whole point of health reform is to make sure that families enjoy the security of health reform, even in financial hardship. If their income drops, they get the subsidy they'll need to keep insurance coverage. After all, the point of insurance is to be a safety-net, and in our current system, it’s a net that often goes away at exactly the time it is most needed. Coupled with the requirement to get coverage, the subsidies mean that people stay covered, even if some lose jobs or income. This keeps the healthy people in the pool, paying what they can, and preventing premiums from being jacked up for the rest of us. As they seek to pass health reform, Speaker Pelosi and others are appropriately looking to improve the affordability subsidies, and other efforts would allow for more automatic and seamless enrollment, so more people stay covered during the bad economic times when they need it. Unfortunately, rather than endorsing health reform and such these improvements, Anthem Blue Cross of California has been actively opposed to health reform, at the state and federal level. (This is not a new development--My organization has a website for several years, www.sickofbluecross.com, dedicated to spotlighting Anthem Blue Cross’ practices and policy positions.) It’s ironic that one of the biggest opponents of health reform is unwittingly making the most vibrant case for its support.